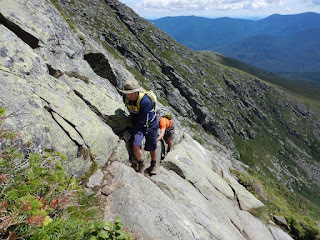 The general consensus is that Huntington Ravine Trail (2.1 miles with 2450 feet of elevation gain) is the most difficult and dangerous hiking trail in the Whites. Do NOT attempt to descend this one, and don't attempt to ascend it under wet conditions. 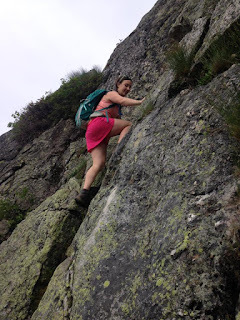 The most difficult parts of this route are encountered ascending the headwall. Once you are up past the "fan," the first part of the headwall climb, there is no turning back. Be sure to keep an eye on the forecast and do not begin climbing the fan unless you are sure the weather is going to cooperate. Once past the fan, it's slanted slabs, scrambles, and a chimney, all the way until you reach the intersection with the Alpine Garden Trail. Multiple sections of this hike are no-fall zones. Wear shoes/boots with plenty of grip, and bring others with you for moral and physical support. 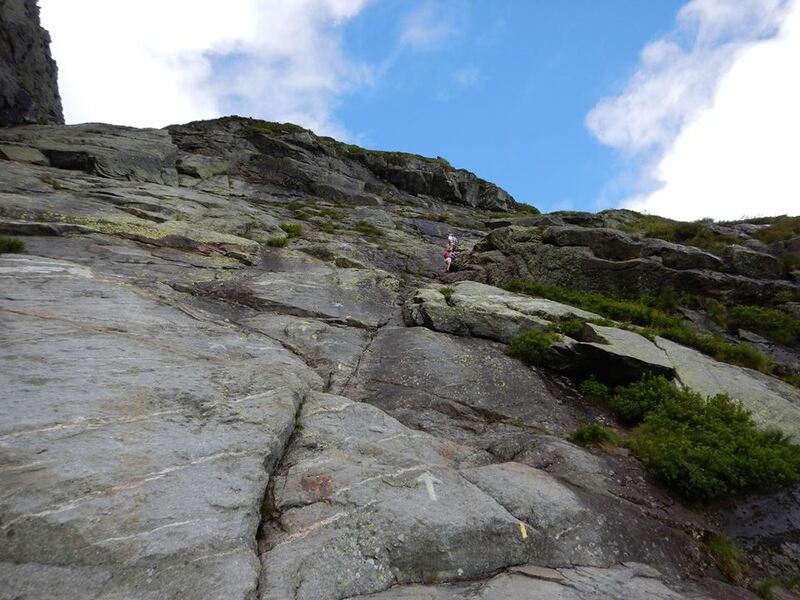 JCXC Multipurpose outdoors blog that seeks to inform adventurers of the myriad opportunities in the Northeast and beyond for hiking, climbing, and exploring. The site includes trip reports, op-eds, how-to lists, and other informative articles that will help both newcomers and experienced outdoorsy folk alike. 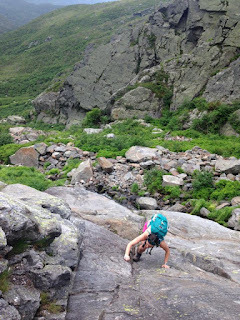 ROARLOUD.NET Adventures can be found anywhere: New England based adventure/travel blog with focus on outdoor adventures. Featuring recent hike of Mt. Kilimanjaro as well as many New Hampshire hikes. TAILS FROM THE TRAILS Promoting New England's great outdoors and adventures...with a canine twist. TRAIL TO SUMMIT Information and inspiration for fellow New England hikers. 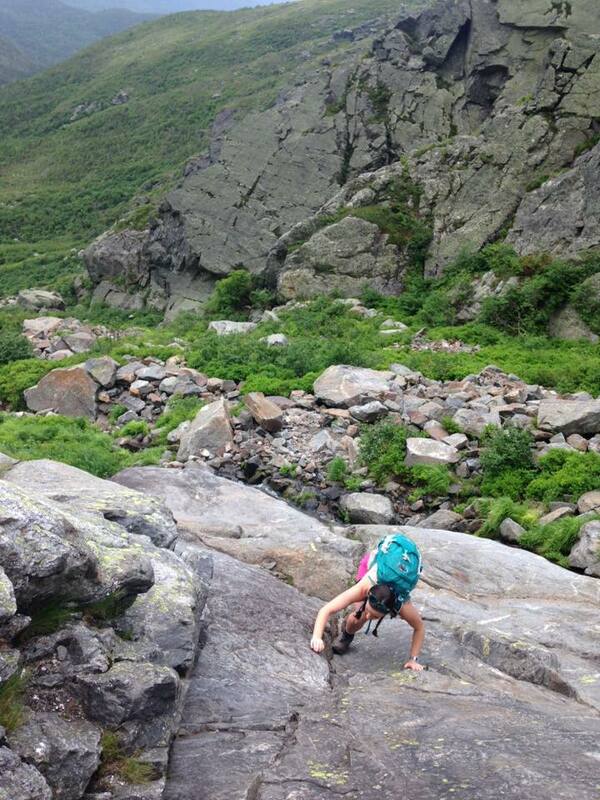 TRISH, ALEX, & SAGE A woman and her two daughters hike NH and highpoint the USA. Includes adventures on the JMT, the Great Wall of China, and El Camino de Santiago. Copyright for this website, including all images, posts, and title, held by Patricia Herr. Simple theme. Powered by Blogger.